The Burlington Foundation is committed to supporting our community and focusing our efforts on areas that are most in need. Data from our Vital Signs Reports over the last few years confirm that mental health issues are growing and there is a pressing need for help. In 2014 we launched the Mental Wellness Alliance. We’re working to help keep the conversation going about mental health and wellness, so we can break down misperceptions and promote healthy communities. As part of our leadership work in mental health we launched a Mental Wellness Alliance Speaker Spotlight Series in 2015. The purpose of our Series is to advance the education and awareness of community members through topics specific to mental wellness. We thank everyone who attended the October 5th, 2016 #SickNotWeak community event with Michael Landsberg. Michael is a well-known Canadian media personality known for his work on TSN’s Off the Record and Naylor & Landsberg. His experience with depression led to the creation of #SickNotWeak, a not-for-profit organization that provides mental health education and support. 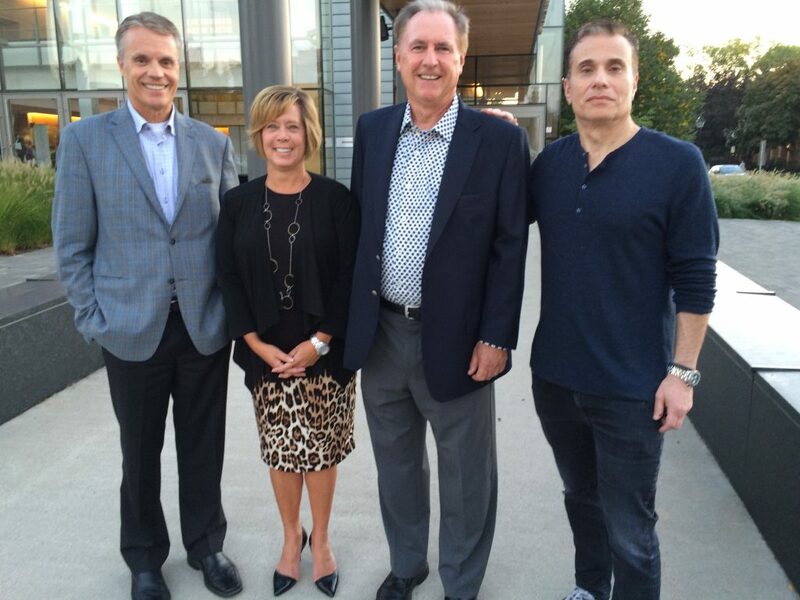 From left to right: Mayor Rick Goldring, Colleen Mulholland (President & CEO, Burlington Foundation), Ron Foxcroft (Board Chair, Burlington Foundation) and Michael Landsberg.